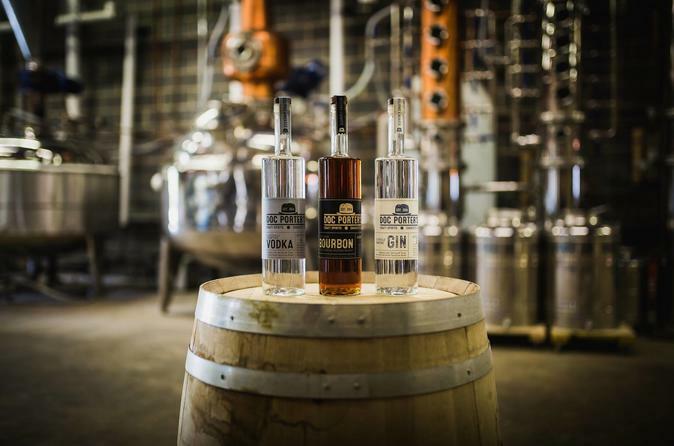 Experience Doc Porter's Distillery on this 45-minute tour with a tasting. See where every product is made from start to finish, from milling and mashing to fermentation and bottling. Enjoy a taste of North Carolina on this comprehensive tour of the facility and tasting. Choose either the 4pm or 5:30pm tour time. Then, meet the owner of the distillery at Doc Porter's, located at 232 East Peterson Drive. Follow the owner, who will be your guide, through the facility to begin your 45-minute tour. While on your comprehensive tour of Doc Porter's, learn about the inspiration for the distillery, along with an overview of the grain-to-glass process. Listen as the owner takes you through the process, from milling and mashing to fermentation and bottling. Then, enjoy a tasting of one of their products made from scratch. Discover the impressive facility and inspirational story of Doc Porter's on this 45-minute tour with a tasting.